I love this piece of artwork right here. Why should Christmas be the holiday that takes over November. If anything is going to make us forget about Thanksgiving, then it should be Halloween. That is why this top picks is brought to you by Mahou Tofu’s second straight week of Halloween themed posts. What says Halloween more than ghosts? Well, I hope the answer to that question was “nothing” because anything else would kind of ruin my introduction. It is clear that Pokémon is still on our minds being less than a month old at this point. The youth of the game means that there are lots of things we have yet to learn about the sixth generation. Egg moves, competitive tiers, and the rest of the pokédex still elude us. However, one thing is clear. Ghost-type pokémon got a huge buff this generation. As fas as the offensive typing is concerned, ghost became even more amazing after steel lost its resistance to ghost and dark. 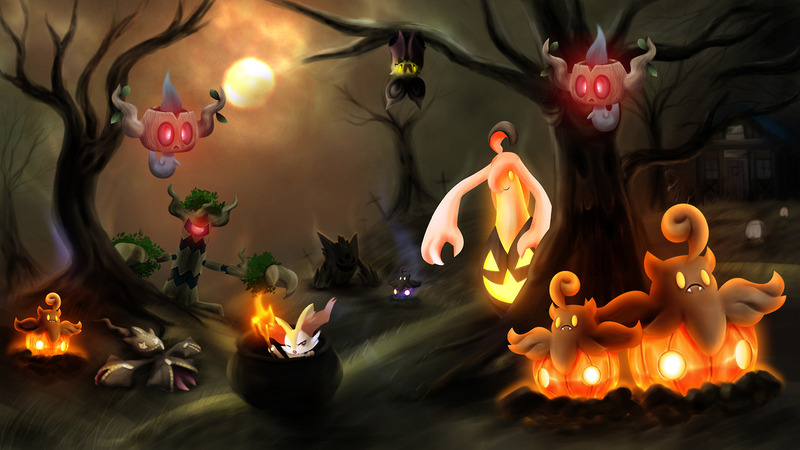 This means that like Forrestress no longer resist shadow balls and Jirachi is weak to your spooky powers. There are two other key buffs to ghost-types in sixth gen, but they are a little less direct. Will-o-wisp got an accuracy buff. It is not 85% rather than 75%. I know that we all hated missing will-o-wisp, but getting a burn on something is just too good. This buff is great for ghost-types because most of them get this move and you are going to need it with all of the physical powerhouses running around. Lastly, we have the introduction of sticky web. An entry hazard that lowers the speed of grounded pokémon when they switch in by one stage is crazy. How does this buff ghosts? The need to rapid spin is even greater with new entry hazards and that makes spin blocking even more essential to a team that stacks hazards. Ghosts already had it fairly good with their immunities and resistances, so they are ridiculously good now. This list may be coming out before official tiers are set, but I will exclude things that were uber in the previous generation. Also, the viability of certain pokémon may change as we learn more about egg moves, but this reflects my thoughts as of the release of the article. That is a creepy face. Everyone should know why Sableye is on this list. This was the premiere prankster pokémon in fifth gen. Sure, Liepard saw more use, but that was in the lower tiers. Sableye was a UU pokémon that saw a ridiculous amount of use in the OU metagame. Why is that? Well, priority substitutes, recovers, will-o-wisps, etc made this thing very scary to face. Also, the typing made it good from a defensive standpoint because it wasn’t weak to anything. I think that Sableye can see even more use than it did before thanks to the will-o-wisp buff. Honestly, the worst part about using a Sableye was the frequency of missed will-o-wisps. Now, you can be even more annoying than you ever could be in fifth gen. Also, foul play looks like it is going to be even better than it was before with all of those Aegislash guys running around. 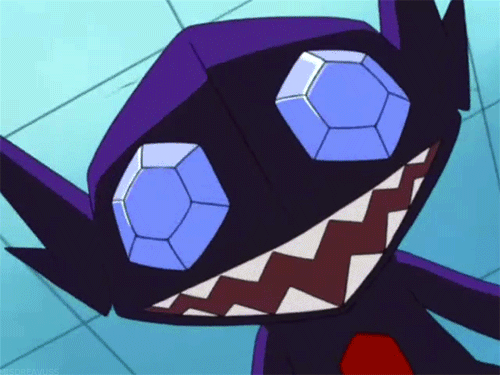 Honestly, even if it doesn’t reach OU for some odd reason, I will be compelled to use Sableye in OU simply because I think it can handle quite a few threats. 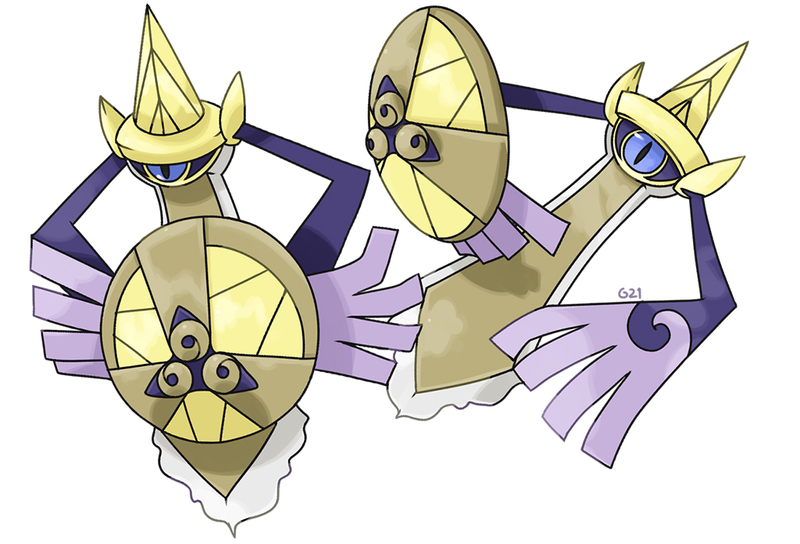 Aegislash better watch out. 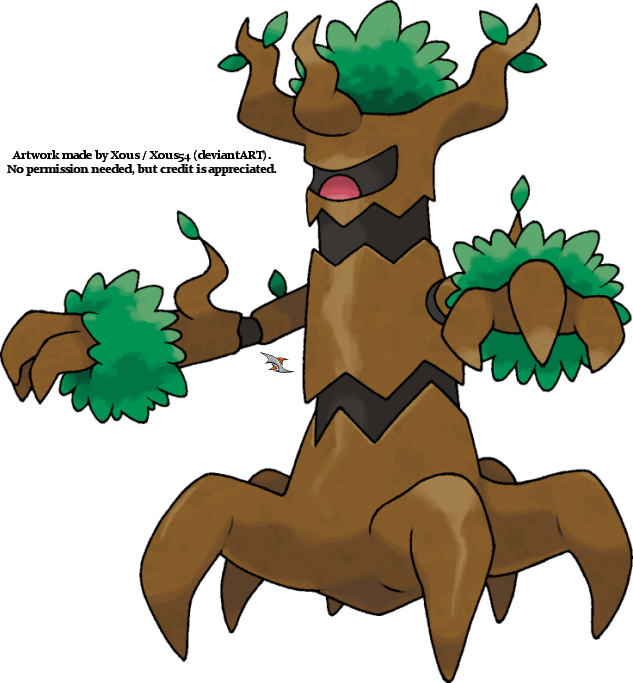 It is time for spooky tree to take over the metagame. I know what you guys are thinking. “This guy is clearly jumping to conclusions by throwing a sixth gen pokémon onto the list.” Well, I will be honest with all of you. I was not the biggest fan of this pokémon at first. I thought that the grass typing did more to hurt it than it did to help it. However, my mind was made up after watching battles from one of my favorite YouTubers. NotBlameTruth deserves all of the credit for this pokémon making the list. He uses a very interesting set that makes use of some of the best passive damage moves in the game. Substitue, leech seed, curse, and shadow claw is a very deadly set. Curse from a ghost-type pokémon does 25% passive damage every turn to the opposing pokémon and that is how you mess up walls. Add that to the fact that you have access to harvest as an ability which can utilize sitrus berry, and you can stay alive to mess up live. The spooky tree also has access to will-o-wisp and I think that we are looking at a new defensive monster. The Pringles Man is too strong. Here is a pokémon that made a name for itself in the previous generation. Here I am to talk about another defensive ghost-type. Jellicent was OU in fifth gen because of amazing bulk, access to two very good abilities, and the fact that burns are too good. 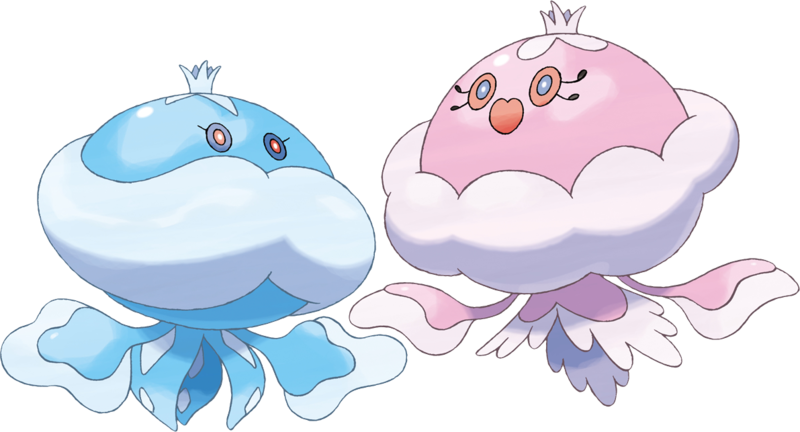 Jellicent can get you two ways with STAB scalds and the now buffed will-o-wisp. After a burn, it will be almost impossible to take down a Jellicent from the physical end of the spectrum. Water absorb and cursed body are both very good abilities even though almost everyone chooses to run water absorb. The pokémon has access to recover and shadow ball just became another great option for you to run with the ghost buff. Honestly, this ranking could change if Trevenant performs as well as NotBlameTruth thinks it can, but I do think that Jellicent deserves to be here. It more than proved itself in fifth gen and I don’t think it took a step back. Just accept the fact that Jellicent will continue to stand in your way for another generation. No one calls it stupid now. I know what you are thinking. “Why is this not at the top of the list?” Honestly, it is because the number one should be pretty obvious at this point if it wasn’t already. Aegislash is a fantastic pokémon. The buffs to both ghost and steel as offensive types make this thing difficult to get around. It has access to a STAB priority move in shadow sneak and possibly one of the best moves in the game in King’s Shield. Yes, a protect that can lower an opponent’s attack stat two stages upon contact that puts you beck into defensive mode even if you can’t get the move off is ridiculous. For those of you that don’t know, Aegislash can use King’s Shield to go into defensive mode even if it is confused and hits itself. We all know why this pokémon is good, so let’s look at why it isn’t at the top. Honestly, priority is great, but shadow sneak lacks power. Add that to the fact that your speed keeps you from getting off your powerful hits without taking damage and you can end up in a bit of a bind. Add that to the fact that steel got a defensive nerf and you are looking at foul play users like they are the devil. I don’t think that Aegislash will fall out of the top of OU at all, but it isn’t perfect. Has Gengar been too good for too long? Well, people who think first gen is the best should be pretty happy about this one. Most of those people are very closed-minded, but the fact that Gengar is still at the top of the ghost-type class is pretty apparent. 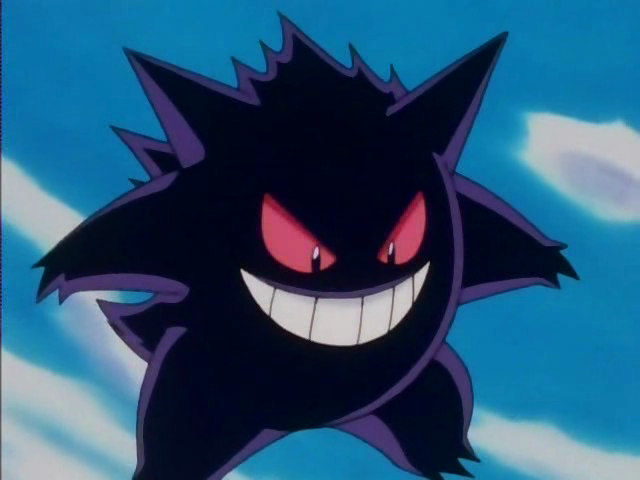 What makes Gengar so great? Let’s forget the mega evolution for a second because that can wait. Regular Gengar is a force to be reckoned with. The ghost buff makes shadow balls even more deadly than they used to be. No more relying on focus blasts to hit those damn Jirachis. Also, poison got a buff and that makes Gengar deadly. Fairy-types should be running around and Gengar has access to STAB sludge bombs and hopefully sludge waves pretty soon. Who even needs coverage moves? Now let’s look at the mega evolution. Mega Gengar loses levitate, but it gains access to shadow tag. Being stuck with this monster sounds frightening. It has better defenses and a 170 base special attack stat. Goodbye other pokémon. What is the best thing about the mega evolution? Honestly, I think it might be the fact that the attack stat stayed the same. I mentioned that foul play users are around and this will keep Mega Gengar safe from death. 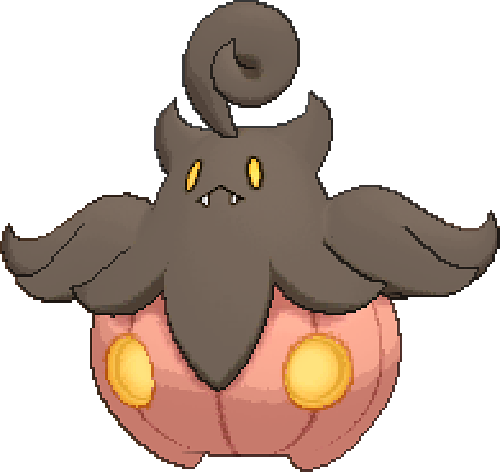 Pumpkaboo and Gourgeist are probably my favorite sixth gen pokémon even though they didn’t make the list. Honestly, ghost-type pokémon will always be near the top when it comes to my favorite pokémon types. I may be a poison guy, but they are definitely in the top three. Ghost has become a great offensive and defensive typing. So good in fact that we get very few ghost-type pokémon. Also, ghost moves are lacking in both base power and variety. Let’s not forget that ghost-type pokémon rarely have the most balanced base stats and good HP pretty much eludes them. It makes sense that dead things have low HP, but defensive ghosts would appreciate some more bulk. With all of that, ghost-types are still great. I know that Duc and Bryan will agree with me when I say that ghost-type pokémon are great and that they need some more love. People love Gengar and Aegislash, but there are others out there. That is what I have to say about this. What do you think? Is ghost a good type in pokémon? Is Gengar better than Aegislash from a competitive standpoint? Did I leave a pokémon off of the list that you think is more deserving than some of these? What is you top five? Do you watch NotBlameTruth on YouTube?